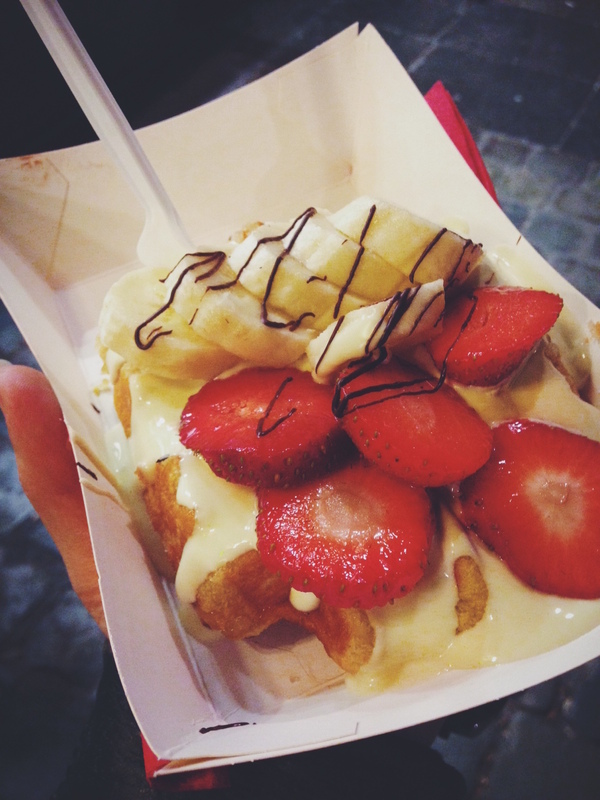 Belgium is very well known for its foodie scene and Brussels did not disappoint. As I have said on many occasions, I never used to be a huge foodie. However the more I travel and the older I get, I find myself attracted to cute cafes and trying every local dish possible. In Brussels this was only egged on by being with Shikha who is a huge foodie. 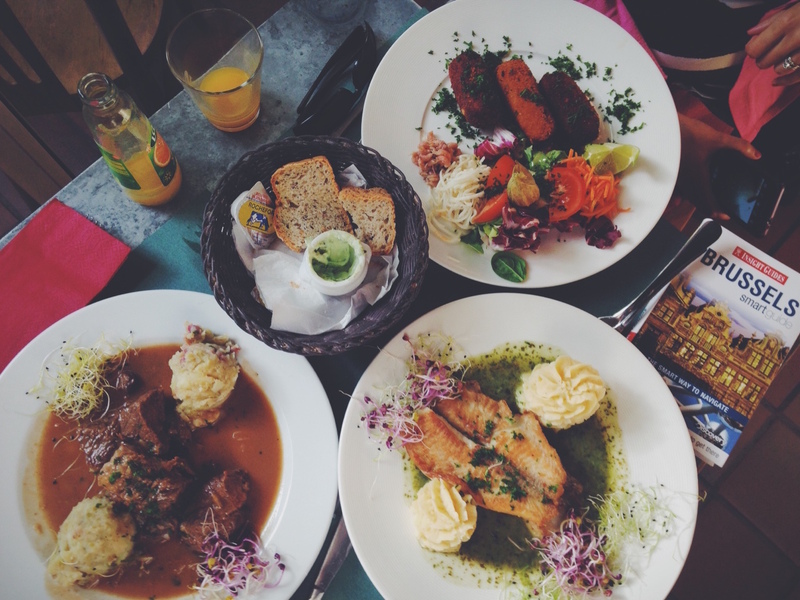 We had several foods on our list to try and spent much of our time in the city sampling different kinds and attempting to read menus in French – there seemed to be a lack of English menus which surprised me. 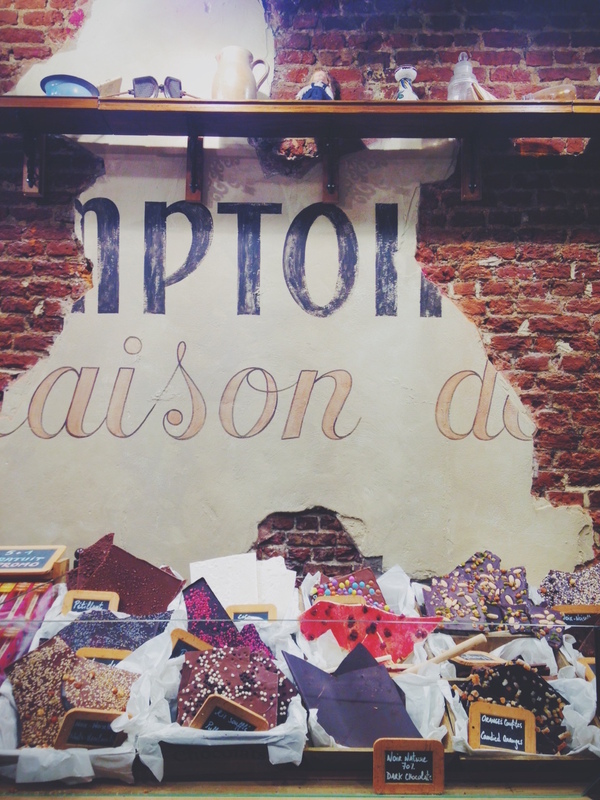 Today I’m writing about eating everything in Brussels and the best places to do so. As a girl who does not like plain milk or dark chocolate I was particularly bad at sampling chocolate around the city. I do however love white chocolate and even managed to find a place selling white hot chocolates. Mathilde was the best chocolate shop find of the weekend. Not only did they stock a huge range milk chocolate goodies but they also had plenty of white chocolate goodies. 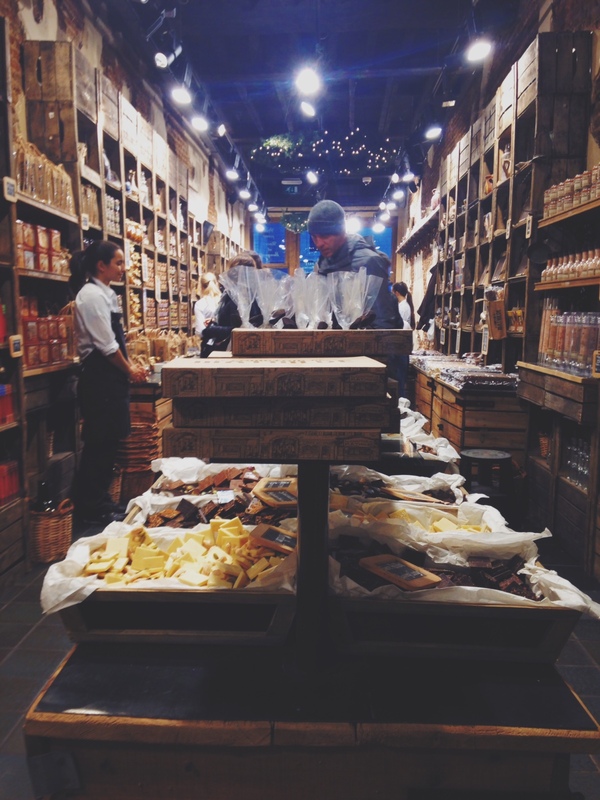 I could easily have spent a fortune in here but refrained myself by only buying a hot chocolate and a present. 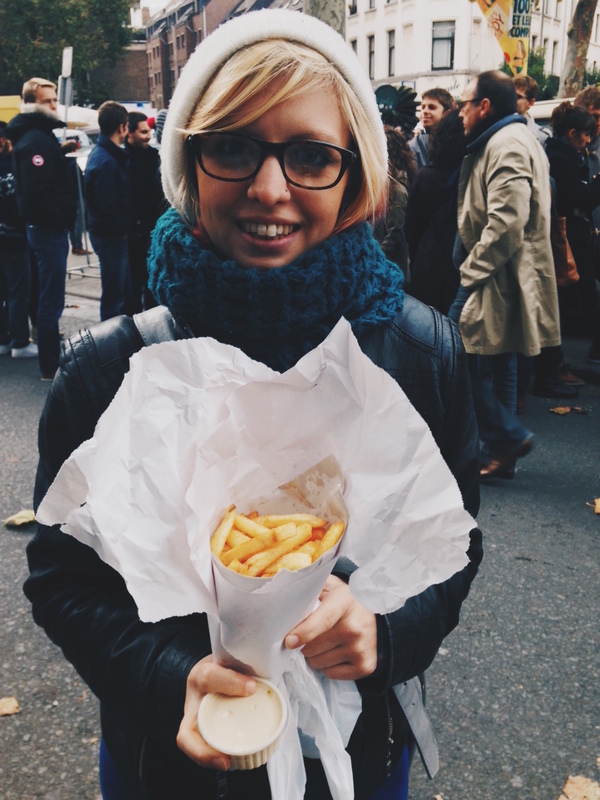 Another popular food in Belgium is frities, the kind that a cooked in lots of fat and served in a cone with mayo. You can find stalls all over the city selling these frities however after much reason we found Maison Antoine to be rated highest. The only problem is because of this rating the queue is often long and although my guide book told me it moved quickly, it did not! I queued for an hour and 20 minutes for my cone. I have to say they were delicious however when you only have 48 hours in the city it felt like wasted time. I think I was probably the most excited to try some proper Belgium waffles. All over the city you can find waffle vans serving up these delights – they look just like our ice cream vans. We however decided to save ourselves for the best waffle cafe in town Mocafe. Typically we ran out of time to have a sit down waffle so instead ended up grabbing one from Los Churros. They had our choices on display but I was glad to see the real thing was made up fresh in front of our eyes. I went for one covered in white chocolate, strawberries and bananas. However the traditional way to eat them is with a dusting of icing sugar. In the end I was glad we didn’t have time to grab one at Mokafe because they didn’t have white chocolate as an option on their menu. So not technically a food but I couldn’t do a whole post on food in Belgium and miss out beer. Although I’m not a huge alcohol drinker myself I couldn’t take a trip to Brussels and not try any beer. During a trip to the very tacky beer cafe, I made he most of our free beer and sampled a light beer. It was served in the typical European way with a large head on the beer. 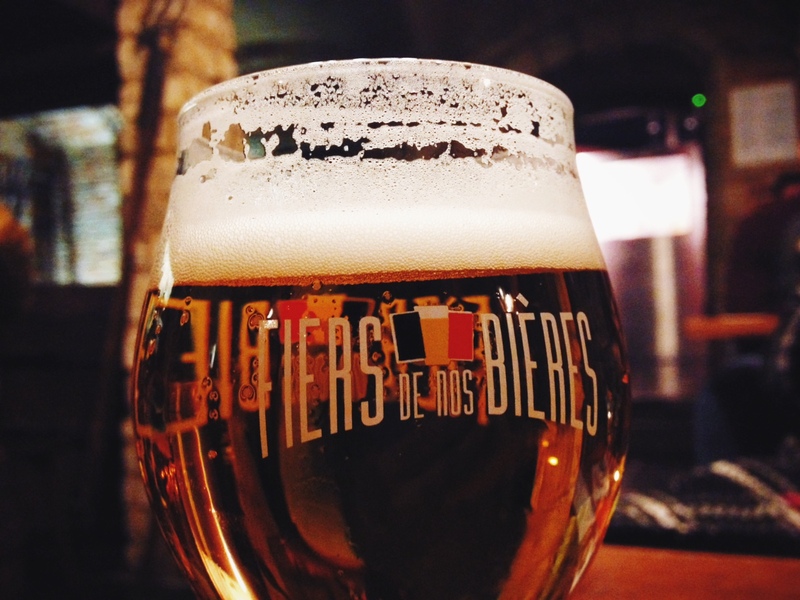 There were plenty of beer cafes all over Brussels and you could easily have spent a day wandering around and sampling beer. The breakfast at Park Inn and lunch at Restobierres was also pretty good and certainly worth a mention. Have you been to Brussels? Where were your favourite places to eat? And what was your favourite food?